Good evening America. We've noticed a lot of esoteric acronyms and Web marketing terms being thrown around out there in the digital world so we thought we would do everyone a favor and get them all together under one roof. If you see any that we missed, shoot us an email and we'll give you credit and make the edit. Thanks to the Capisco Marketing team and some friends of Capisco that lent a hand putting this all together. 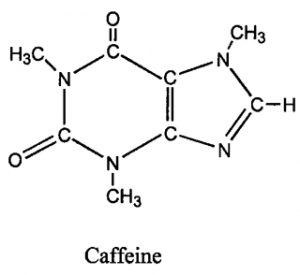 We'd also like to give an honorable mention to our dear friend caffeine. CMS - Content Management System. A system to manage, edit, modify and publish content for a website. Example: Wordpress or Magento CPA – Cost Per Acquisition / Action. The amount an advertiser or company is willing to pay for a predesignated action. CPC – Cost Per Click. The average cost an advertiser or company is charged per click they receive. CPL – Cost Per Lead. The amount an advertiser or company is willing to pay for a lead. CPM – Cost Per 1000 Impressions. The 1000 comes from the Roman Numeral (M) which equals 1000. CPS – Cost Per Sale. The amount an advertiser or company is willing to pay for a sale. CRM - Client / Customer Relationship Management. A tool to manage communication and sales outreach. Example: Salesforce CTR - Click Through Rate. The rate at which a person clicks on a specific ad, button, place or product. Clicks / Impressions = CTR eCPC – Effective Cost Per Click. Calculated by multiplying the CPA by the conversion rate for an offer or advertisement. PPC – Pay Per Click. The amount an advertiser is willing to pay per click. SEM – Search Engine Marketing. When correctly used it refers to a SEO campaigned coupled with a paid search campaign. Often incorrectly understood to mean paid search marketing only. SEO – Search Engine Optimization. The act of optimizing a website to increase its organic rankings for targeted keyword phrases. SERP(s) – Search Engine Result Page. The page displayed on a search engine resulting from a search query that was entered. SMM – Social Media Marketing. Marketing outreach through social media platforms such as Facebook, Pinterest, Twitter, Google+, LinkedIn, etc. SMS – Short Message Service. Text message advertisements of 160 characters or less that are sent to cell phones. UX - User Experience. Refers to webpage elements that impact the site visitor's / user's experience such as design, layout, call to action, written copy, images and navigation. Above the Fold / Below the Fold – A term used in the heydays of print advertising that has endured into the digital age. Originally referring to the fold of newspapers, above the fold refers to the area of a website immediately visible to the site visitor as soon as the page loads. Below the fold refers to any part of a webpage that a site visitor has to scroll down to view. Action – Anytime a site visitor performs a certain act: fill out a lead form, buy a product, etc. Ad Copy – Short & clickable text of a PPC or contextual ad. Ad Platform – A place to buy media or traffic. Affiliate Marketing – A type of marketing where businesses outsource a portion of their online advertising efforts through to affiliates who then arbitrage traffic sources to earn a commission. Affiliate Networks – An entity that acts as a middleman, aggregating advertisements from businesses and offering them to affiliates / publishers to run traffic and earn a commission. Arbitrage – Buying traffic or a product from one source and quickly selling it to another source for a profit. Assets – All of the creative material necessary for an advertisement (copy, pictures, subject lines, links, promotion, logo, branding guidelines). Backlinks – Inbound links from other websites that connect to your website. Black Hat SEO – Optimization techniques that work to game the search algorithm to gain undeserved improvement to SERP rankings and can result in site ranking penalization by Google / Yahoo / Bing when discovered. Bounce Rate (email) – The percent of recipients from an e-blast that fail to receive delivery of the email sent. Bounce Rate (website) – The percent of site visitors that leave quickly, usually 15 seconds or less. Call to Action – The desired act by consumers that a website / advertisement / post was designed to promote or orchestrate. CAN-SPAM – Email marketing guidelines established by Congress in 2003 limiting spam and regulating marketing email distribution. Click – A unique click on a link or advertisement that leads the view to a new webpage. Collateral – Printed advertising material meant for distribution (business cards, pamphlets, menu cards, brochures). Contextual Advertising – Advertising on space made available by users who download certain browser add-ons. These add-ons then display pop-up ads selected through an automated system based on the content the user is viewing. Conversion Rate – The amount of site conversions divided by the amount of site visitors. Copy – The written content of a website, newspaper, magazine or similar publication. Creatives – The imagery, video and pictures used in an advertisement. Display Marketing – Marketing through image-based ad displays on high traffic websites. Double Opt-In – The act of a consumer agreeing a second time to receive marketing material from a specific source often used in email marketing as a requisite for white-listing. Email Marketing – Marketing to consumers through newsletters or e-blasts. Google Algorithm – A proprietary input function used in determining an indexed site’s relevance to certain search queries. Grey Hat SEO – Optimization efforts that utilize both white hat and a moderate amount of black hat SEO techniques to improve SERP rankings while flying under the radar of the major search engines. Hard Bounce (email) – An email message that is permanently undeliverable due to the message being sent to an invalid / nonexistent email address or to a server that has blocked the sending server. Impression – Anytime an advertisement is displayed for viewing it is counted as 1 impression. Incentivized Traffic – Web traffic that results from offering the consumer a benefit (monetary or otherwise) for performing a specific act. Media Buy – Buying media space on an advertising platform: Television, PPC, Radio, Print Publications, Web Display Traffic, etc. Mobile Traffic – Traffic resulting from advertisements shown on mobile devices. Opt-In – The act of a consumer agreeing to receive marketing material from a certain source. Usually used in email and SMS marketing. Organic Traffic – Traffic resulting from organic listings on SERP(s). Page Conversion – The occurrence of a site visitor, or ad viewer, performing a certain desired act. Pop-unders - A new browser window featuring promotions that pops underneath the content of a webpage. Pop-ups – A new browser window featuring promotions that pops-up over the content of a webpage. Re-Targeted Advertising – Specifically targeting site visitors with advertising related to a site they recently visited. Search Traffic – Traffic resulting from PPC or organic search listings. Soft Bounce (email) – An email message that has failed to be delivered due to the recipient’s mailbox being full, the receiving server being down or the message being too large to be received. Suppression / Unsubscribe – The act of opting-out of receiving further marketing promotions from an advertiser or company. Email marketers have exactly 10 days to cease sending you advertisements from the day you unsubscribe or risk being in violation of the CAN-SPAM act of 2003. Tracking Pixel – A portion of code that is place in a website to track which clicks or sources of traffic result in page conversions. White Hat SEO – Proper and approved search engine optimization techniques used to improve a site’s SERP rankings for targeted keywords White Listing – A status given to publishers / advertisement distributers who are approved to send unfiltered traffic to a source of consumers. Wireframe - The skeleton or layout detailing where all the creative elements and copy will be displayed on the design of a new website.